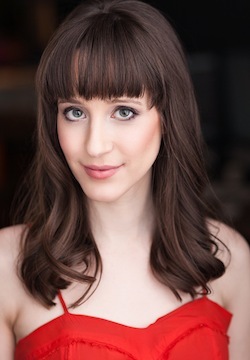 Goldie Hoffman is set to play the character of Daphna in Bad Jews, a play by Joshua Harmon. It will be in Vancouver at Rothstein Theatre from Nov. 10-21, directed by Jay Brazeau and produced by Famous Artists Limited. For the Jewish Independent article on the play, which includes portions of the interview below, click here. For tickets, click here. JI: How hard was it for you to put yourself into your “bad” shoes, or in what ways are you similar and different with respect to the Jewish spectrum than your character? GH: I’m wearing my “bad Jew” shoes as we speak! In many ways, I think the play is actually poking fun at that very notion of being a “bad Jew,” as there’s really no such thing – or, if there is, well then, we’re all “bad Jews” in one way or another. There is no right way to be Jewish, either religiously or culturally and, as Jews, we grapple with what that identity means to us and how much we want it to affect our lives and sense of self. That reminds me of the Jewish saying, “two Jews, three opinions,” and that’s something that I think aptly describes Jews, but is something we should be proud of – that we accept and even thrive on debate, discussion, questions and, of course, the fact that we can openly poke fun at the religion and culture. There’s definitely something very Fiddler on the Roof-esque about this play and the characters – each character deals with their Jewish identity, changing times, and the weight of historical and cultural legacy and community, in their own way. With respect to my character, in some ways I’m both my character Daphna and her cousin Liam, or at least have been aspects of both of them at one time or another. My experience and views about my “Jewishness” continue to change and evolve, so I’ve been all over the map. For instance, as a kid, I was raised Chassidic, and then as a teen I became non-observant, but was still a believer. Then I identified as “spiritually Jewish.” Now I no longer believe in Judaism, and I’m a secular humanist, but culturally or ethnically, I am definitely Jewish (whether I like it or not). I think this is something a lot of non-Jews have trouble understanding, because the term Jew can apply to both the religion Judaism, but also the Jewish culture, ethnicity, nation, and community, as we are such an old people that we predate these modern terms. As for Israel, as you know, that’s such a sensitive and ambivalent issue for the Jewish community and something we all have different views on. For my character Daphna, Israel is extremely important and she plans to make her life there. I used to share her fervent Zionism as a teen, and even considered going to Israel as well, either to a kibbutz or to do one of their volunteer programs with Magon David Adom (their national emergency medical disaster, ambulance, and blood bank services as well as national aid society). I am still a supporter of Israel, though not without my criticism, just like with other countries; but unlike Daphna, I don’t support Israel from a religious standpoint and don’t believe in the existence of holy lands. I can speak, read and write Hebrew (also some Arabic), and tend to really like and get along with Israelis and have a few friends and acquaintances in Tel Aviv who are in the arts scene. I think Israeli Jews are such a unique, interesting and strong people, and they’re very different from North American Jews. If I’m fully honest, I think they’re our cooler cousins, because they’re people who just “happen to be Jewish,” versus we here who are taught our Jewish identity and worry about how it squares up with our national one, and who are by and large much more sheltered and privileged than they are. I also think Israelis are better looking than we are, but I know that’s up for debate. But c’mon, all those people mixing from all those different countries and backgrounds? – you can’t compete with that! I realize I’m sounding a lot like Daphna now in my praise of Israelis, but again, it’s from a different angle. As an artist, I’m specifically very impressed with Israel’s amazing and thriving arts, culture and film scene, especially given all they deal with on the international and domestic front. As I said, I’m not without criticism, but I do feel Israel is unfairly castigated and vilified in the world and held to unfair double standards. I’m unfortunately disillusioned about the possibility of peace there, and can’t help but think of Israel and that entire region with a tinge of sadness. Still, I’m definitely overdue for a visit and would love to perform live there or work on an Israeli film. However, all that said, I struggle with the paradoxical dilemma of how to continue the survival of the Jewish people and Israel, while still supporting humanism, secularism, democracy, and the belief that mixing is a great thing for humanity. I think this is a major theme the play deals with and questions, and something most Jews can relate to, as well as many non-Jews with strong cultural and ethnic identities and communities. JI: Characters that are a “type” can come off as superficial. In what ways have you tried to infuse your character with reality/humanity to prevent them from becoming stereotypes? GH: I think it’s important not to judge your character as good or bad/ right or wrong. Humans are complex individuals and it’s important to remember that when you portray any character. In fact, generally in real life, we don’t set out to be wrong or behave badly. 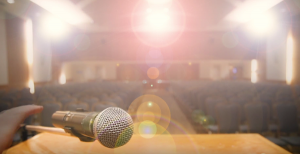 Most of us try to go through life making good choices, and when we make bad ones or hurt people, we often don’t intend to or don’t even realize the impact of our words and actions. When playing a character, I try to portray their point of view, as best as I can understand it. In fact, after first reading the play, I was actually offended when first seeing Daphna described as a “zealot” in online play reviews and synopses, because I see that term as quite negative, and I didn’t see (or want to see) her that way. I feel I really understand where Daphna is coming from, even if I don’t share all her views. In fact, I’d go as far as to say, this is a character that is closest to me of all the roles I’ve ever portrayed – to the point where it’s scary and even embarrassing. As for playing a certain “type,” it’s true there is a certain stereotype and similarity many Jewish girls and women share, and yes, a lot of it does apply to me: brunette, outspoken, loud, animated, and yes, also stubborn and annoying – but also spunky, fun, caring, intelligent and funny (and clearly modest). Hey, let’s face it, get a bunch of Jewish girls in the room, and I challenge you to tell me many don’t look and sound like sisters. Daphna shares these qualities, too, but at the same time, we’re of course all individuals, and so our views and outlooks on life can be extremely different. JI: How did you come to hear about Bad Jews and audition for it? GH: Our director, Jay Brazeau, contacted me after speaking with director, writer, actor, producer Ben Ratner, who recommended me to him. Ben runs and teaches at Haven Studio, and I’ve trained with him a lot, working on many intense plays and scripts in multiple genres. So, it’s really thanks to Ben that I got this part, both because of his recommendation and also thanks to his training. I was then asked to read with Amitai (who plays Jonah) in front of Jay and our producer Bill Allman in an informal non-audition audition. “Don’t think of this as an audition, Goldie …” they said, and as I jokingly thought to myself, the unsaid continuation of that line was, “… but this read will likely affect whether or not you get the part.” Fortunately, I got the part, and I’m thrilled and truly honored to be playing such a fun role and being part of this ensemble. JI: Are you going to get a perm to play Daphna? GH: Oh no, you’ve just outed me as a straight-haired chick! I’m honestly still debating if I should get a perm or not. I’ve had friends with the real “Jew-fro,” and used to be jealous of them, even with their complicated product-regimen they had to wrestle with, and, of course they were jealous of my straight locks. We want what we don’t have, right? I may curl my hair each night, and I’ve been experimenting, burning my fingers, while I curl my hair trying to get it just right so it looks realistic and doesn’t have that “fake curls look.” I know some actors have used extensions for this part, but I want to be able to use my hair in the scene. So, as I write this now, I’m leaning towards a perm, but we’ll see. JI: As I don’t think we’ve had the pleasure of interviewing before, can you share a bit about your background? How you’re a dual citizen, and split your time between Vancouver and LA? In what other shows Vancouverites might have seen you recently? Whatever else you might like to add. GH: Ah, now to sum up myself and my background quickly. As you can tell, I’ve clearly mastered the art of being concise. Long story short, I don’t have the typical North American Jewish experience, because I was raised in more than one. I was born in Brooklyn, N.Y., into a Chassidic family. My mother was from Montreal, my father from San Diego, and their youthful act of rebellion was to leave their secular Jewish lives, and join an ultra-Orthodox Chassidic movement in N.Y., much to the dismay of their families. Talk about being “bad Jews” and trying to define what that means. Their experiment with ultra-Orthodox Judaism ultimately didn’t work out for us, and my parents divorced. My mother went back to Montreal to be with her family, and we kids along with her. My father is still Chassidic actually, but I’d say he has his own version of it, and he lives in Vegas now. He is quite a character, and that’s putting it mildly, as is my mother, even more so than in the “typical Jewish parents” way. In Montreal, we re-integrated into “normal” North American Jewish lifestyles, starting out as Modern Orthodox, but then with varying and changing levels of observance, and each of us being allowed to do our own thing. When I graduated, I was actually going to study law, like all good, smart Jewish girls, but changed my mind at the last second about having a stable life in order to pursue performance and the arts instead. I got accepted into Studio 58’s professional theatre acting program, so that’s what brought me out here. It was pretty scary because I knew nothing about Vancouver, I knew no one here, and had no money to scout out the city beforehand. After studying, I decided to stay here and started acting and doing comedy. Having been here for several years and because I’m a dual American-Canadian citizen, I recently decided to make the jump to L.A., too, since there is more opportunity there – and, of course, because you can’t beat all that sun and ocean. I love being on the West Coast, though I poke fun at it often, because in many ways I’ll always be a bit of a fish out of water here as an ex-East Coaster. My aim is to try to juggle both cities, L.A. and Vancouver, as much as possible taking advantage of the acting and comedy opportunities both cities have to offer. As far as other performances Vancouverites may have seen me in, I played Connie in Raving Theatre’s production of My Big Gay Italian Wedding, which was put on at the Cultch. I also played Natalie, in the local independent feature dark comedy, Thirty One Scenes About Nothing, which won best picture at the Oregon Independent Film Festival (OIFF) in Portland. I also perform lots of live stand-up and sketch around town. Last year, I ran a weekly comedy variety show, called The Comedy Cabaret, along with co-host Ruven Klausner, in which we performed various comedy characters and acts. We formed a comedic partnership, previously called Schtuptown (a nod towards our Jewish heritage), now called The Goldie & Ruven Show, in which we perform live and create comedy shorts which are published online. You can follow me online at goldiehoffman.com, imdb.goldiehoffman.com, @theMizzGoldie or facebook.com/GoldieHoffman.